Overwater Hall Hotel sometimes limits bookings to 2 or more days. Victorian style small superior with waxed wood panelling and shutters. Very romantic feel to room. Bath and separate shower unit. Reduction available for stays of 2 or more nights Special four night breaks are available all year Special dinner inclusive rates are available. Rm 1 Junior sometimes limits bookings to 2 or more days. Garden view. Luxurious bathroom with large double-ended bath and separate shower unit. Rm 10 Junior sometimes limits bookings to 2 or more days. Room can be made up as twin or double with super king size bed. Beautiful view to Skiddaw. 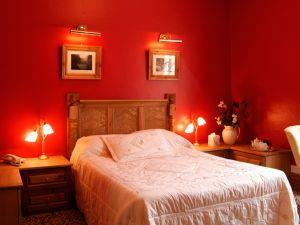 Superior room with luxury bathroom and separate sitting room. Reduction available for stays of 2 or more nights Special four night break rates available all year Special dinner inclusive rates are available. Rooms Five and Eight are large enough to accommodate an extra bed as family rooms. Room 2 Superior sometimes limits bookings to 2 or more days. Superior room with separate sitting room. Front of hotel with beautiful fell view. Excellent bathroom with large bath and separate shower cubicle. King-size bed. Room 4 Superior sometimes limits bookings to 2 or more days. Grade II Listed building, peacefully secluded in 18 acres of grounds on the Back O'Skiddaw. Relaxed friendly care and personal, attentive service. Excellent reputation for food. Open log fire in winter. Dogs very welcome in bedrooms and one of our lounges. Children also very welcome, but no under 5s in the restaurant in the evening. High tea is available if required. Last orders for dinner 20.30. Restaurant open to non-residents. Smart, casual dress code please. Ground floor room suitable for ambulent disabled. Children under the age of 5yrs not permitted in restaurant in the evening. High tea available. Children welcome from any age. Leave M6 at jct 40 travel towards Keswick on the A66. At roundabout just outside Keswick, take 3rd exit, A591 Carlisle. After 7 miles, turn right immediately before The Castle Inn Hotel. Signpost to Ireby, after 2 miles turn right at sign in wall on right-hand side. Train to Penrith/Carlisle, then taxi. Nearest bus stop 2 miles away at Castle Inn.